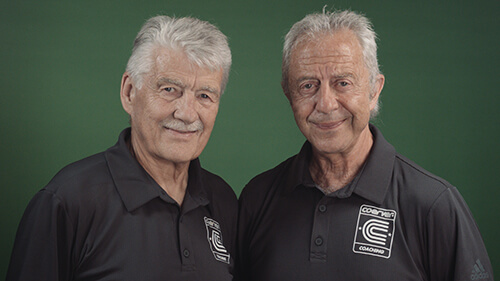 Coerver Coaching was founded in 1984 by Alf Galustian and former Chelsea great Charlie Cooke who were both inspired by the philosophy of legendary Dutch coach Wiel Coerver. Together they developed a programme of teaching that was unlike anything else available then or now. Alf and Charlie's dedication to the game and extensive experience has formed the backbone to the business and made Coerver what it is today - a respected, established and sought after brand of football coaching which has revolutionised the way football is taught and learnt by players and coaches alike. When starting the business Alf and Charlie's mission statement was: “To develop Skilled, Confident, Creative, players who combine well with team mates and have the skills to go it alone”. Coerver's original mission statement continues to be at the heart of the business however, its curriculum and method have continually developed over time to keep up with the changing nature of the game whilst staying true to its foundational beliefs. These beliefs underpin the "Method" and "Curriculum" taught to each player and coach which has earned Coerver global football credibility. Coerver Coaching is the leading brand name in independent football education globally, delivering skill based football coaching in 47 countries across the globe. 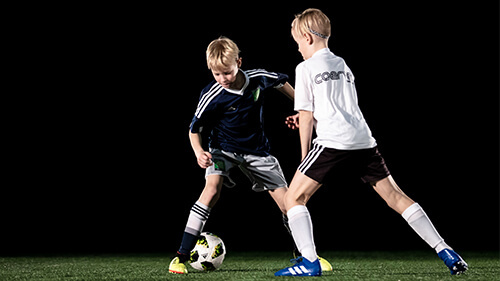 Coerver is a comprehensive coaching program for young players teaching both individual skills and team play to both boys and girls with programmes for players of all ages and abilities. Each player will go into one of the phases below depending on their age. The touch, control and confidence that affects every other part of the pyramid. This teaches hard work & self-responsibility. Without them little is possible. This teaches communication. To keep possession and create space & time to Pass, Run or Shoot. This teaches confidence & creativity. With and without the ball. Acceleration. Reaction. Decision Making. This teaches competitiveness. Focus. Timing. Courage. Concentration. This teaches responsibility. Small group defence. Fast break attack. Combination play. This teaches team work. Coaches should try to develop the person as well as the player. Star Teams and Players provide excellent models for teaching and inspiring young players. Encouraging an attacking mind-set where hard work and commitment to the team is the priority. That the success of any team system, tactic or formation ultimately depends on the quality of the individual player skills and the effectiveness of their small group play. Ball Mastery is the Foundation of our curriculum. We teach every player the Coerver Code.